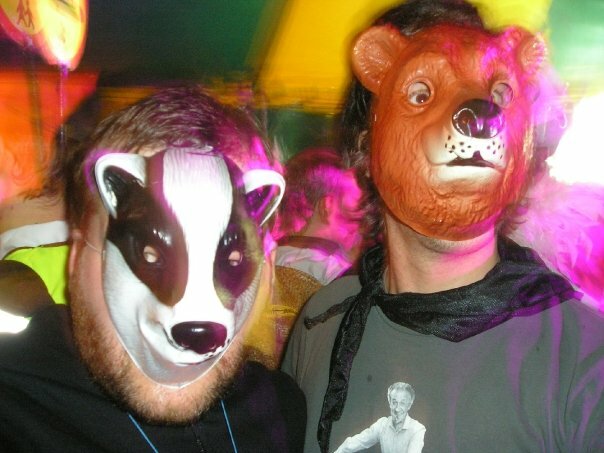 I’ve just come back from the Bloom festival in Gloucestershire, which was great fun, despite the fact that it was mostly empty, the music was absurdly quiet and got turned off at 1am, and it rained pretty much solidly the whole weekend! Luckily I managed to buy a pair of wellies (£9.99 at Homebase, the first pair I’ve owned since I worked on a farm at the age of about 18) so I was spared the extra misery of slodging around with wet feet. The photo above was taken in the Hall of Mirrors before my phone conked out (if you look closely you can see I’m wearing a customised Charlie and Lola T-shirt, given to all the crew before the production ended). 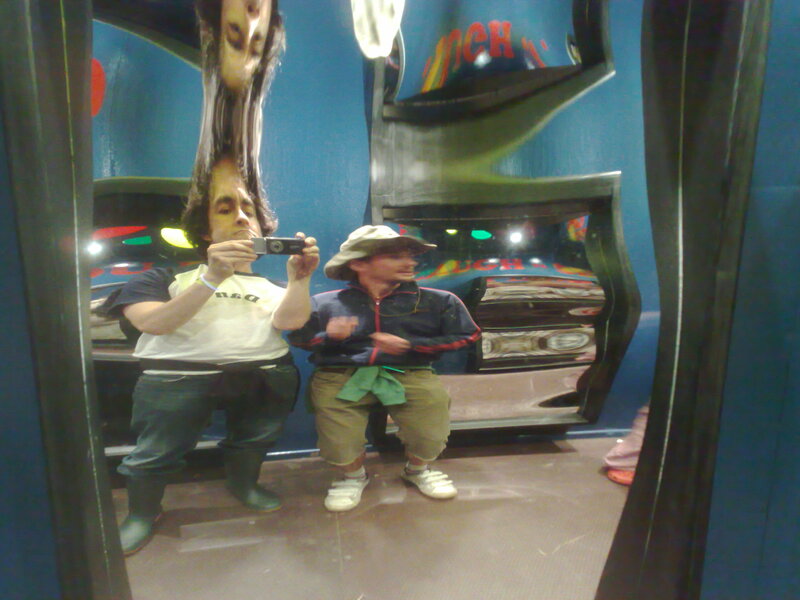 This was the best mirror of the twelve or so, and the only one worth the £1 entry fee. The woman in the booth at the front refused my friend’s offer of £5 for a season ticket. Her loss. The Animals of Farthing Wood. At leisure.